This Sinkology Handcrafted solid brass bath drain is designed to look beautiful with Sinkology copper sinks. Our bath drains are designed to be durable and look beautiful. Soft-touch pop up drains feature a dome drain top adding elegance to any copper sink. Easy to install and perform perfectly with any bath sink from Sinkology. 1.5-inch Decorative Soft-Touch Pop-Up Bath Drain in Solid Brass with Nickel This Sinkology Handcrafted solid brass bath drain is designed to look beautiful with Sinkology copper sinks. Our bath drains are designed to be durable and look beautiful. Soft-touch pop up drains feature a dome drain top adding elegance to any copper sink. Easy to install and perform perfectly with any bath sink from Sinkology. 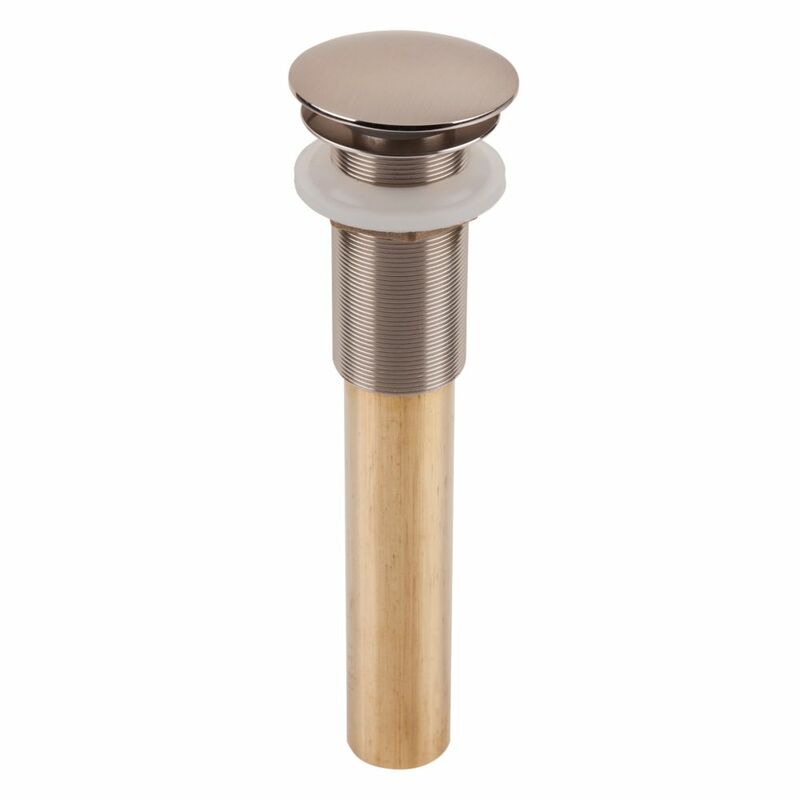 1.5-inch Decorative Soft-Touch Pop-Up Bath Drain in Solid Brass with Nickel is rated 4.9 out of 5 by 7. Rated 5 out of 5 by Bobber from Just installed..looksgreat..... Just installed..looksgreat.. Rated 5 out of 5 by HomeDepotCustomer from Perfect fit!!! Great product!!!... Perfect fit!!! Great product!!! Rated 5 out of 5 by STimmons from Works perfectly with our Sinkology sinks and looks beautiful too.... Works perfectly with our Sinkology sinks and looks beautiful too. Solid metal (not plastic) part. Rated 5 out of 5 by RoKing from The drain looked very nice when I got it, but I returned because I ended up changing sinks. The drain looked very nice when I got it, but I returned because I ended up changing sinks.